11 Hotels found in Saronic Gulf Islands! Open: March to November... 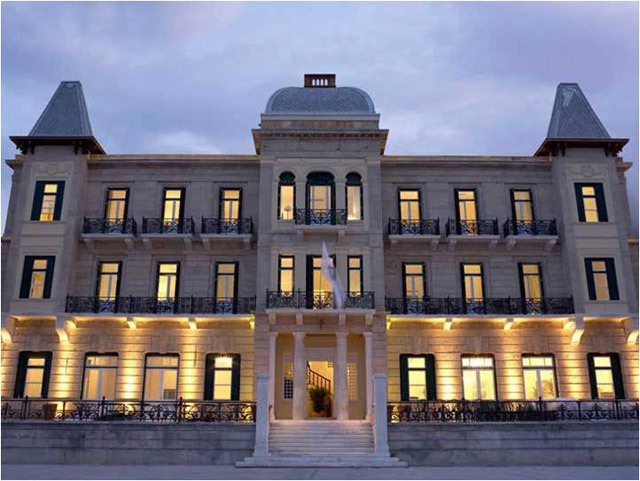 Situated in Spetses, a picturesque island, near Athens with rich naval history and lovely beaches, and what is more a destination for jet-setters all year long, Poseidonion Grand Hotel offers moments of luxury and relaxation! Open: Year Round... 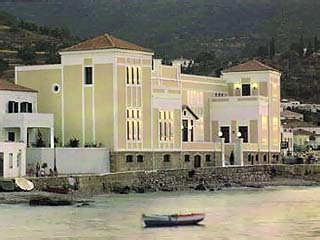 The Hotel Angelica is situated on the central road of the island and is about 3 minutes from the port. It is the only one island in Greece and in the European Common Market where there are no cars. Open: March - October... Bratsera was a charmed word for Greek sponge divers of the last century, being the mother ship where they relaxed after solitary hours on the seafloor. After a stay in any large city one will feel the same about the Bratsera hotel on the island of Hydra. Open: April - October... 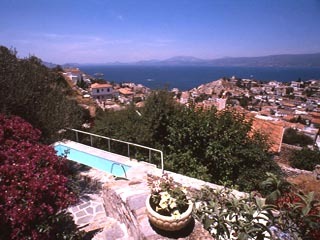 The Hotel Leto is a small charm Hotel, ideal for relaxation and at the same time very near the centre of Hydra nightlife. 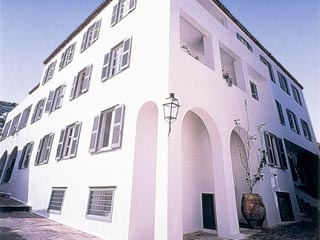 Open: Year Round... At the end of July 1996, the luxury traditional style residences complex "NISSIA" (meaning islands) began operating on the island of Spetses. Open: March - October... 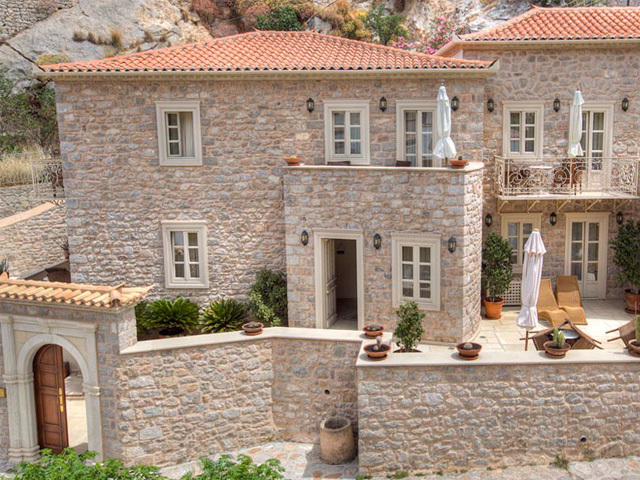 The "Orloff" is a genuine, historic Hydra mansion, turned to an A' class hotel. It has all characteristics of the traditional architecture of Hydra: thick walls, hidden interior courtyards and a beautiful garden. Open All Year... Residence Kiafa is a jewel crowning the hillside overlooking the village of Hydra and the nearby Saronic Gulf islands. 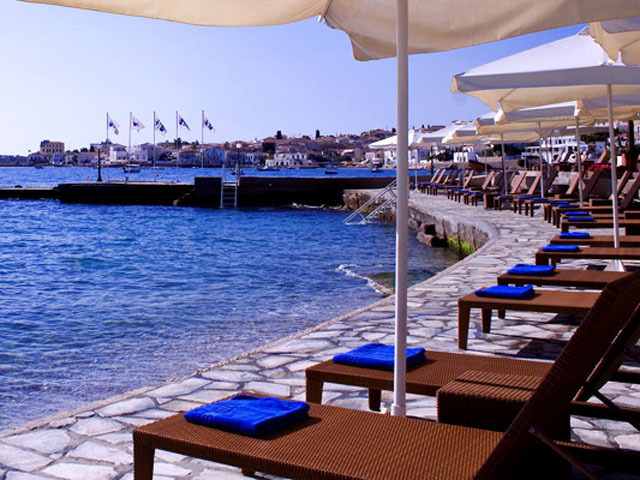 Open April to October ..... Spetses Hotel is a 4 stars hotel located 10 minutes away from the port and centre of the island, Dapia, on a unique place on the coastline of Spetses island. Open April to October . 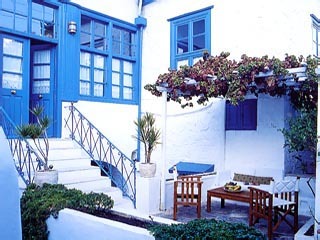 . . . . Villa Nika is a boutique hotel, situated in the region Agia Marina in the green island of Spetses. Its distance from organized beach, taverns and super market is 2 minutes walk. Villa Nika is new built, with environmentally friendly materials. It has a big garden and a big swimming pool of high standards, equipped with hydro massage. It is an ideal place for relaxation, for families, for couples and small group. Open:April to October...Villa Kostis lies within 150m from the beach and is set amidst a green covered area of lemon and orange trees.